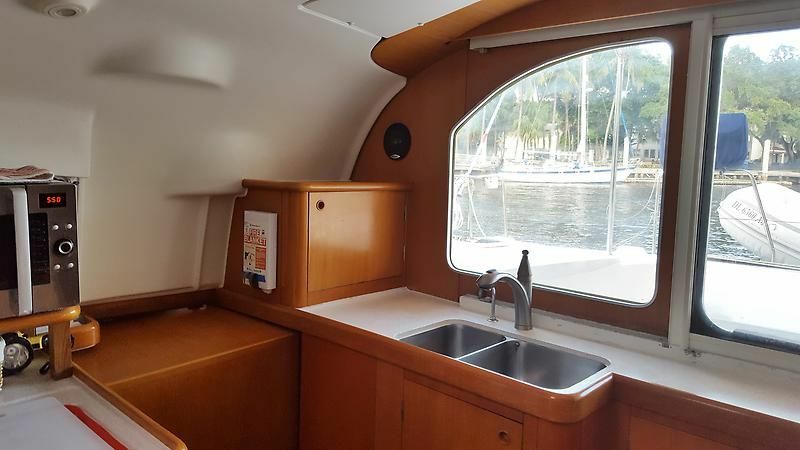 BLISS is a well cared for and upgraded 2003 Lagoon 410 S2, with the entire starboard hull interior dedicated as an Owner's Master Suite. 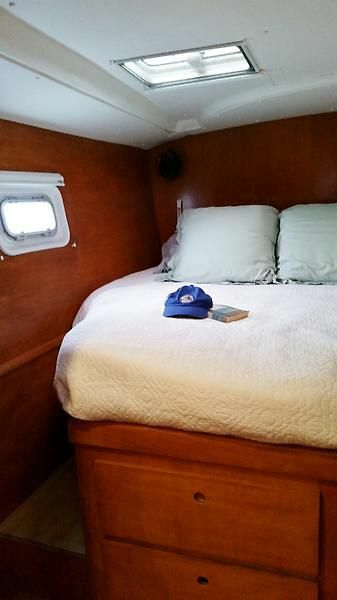 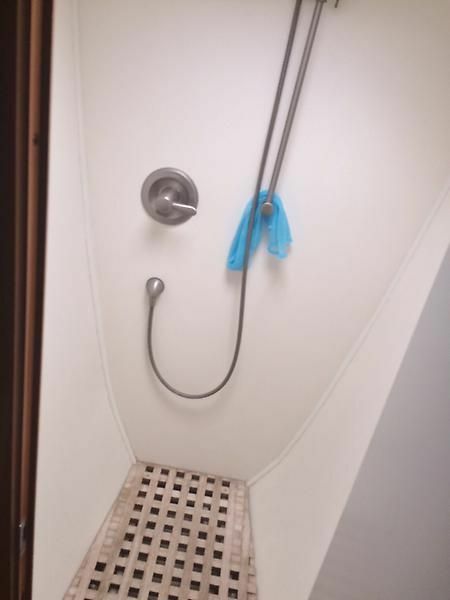 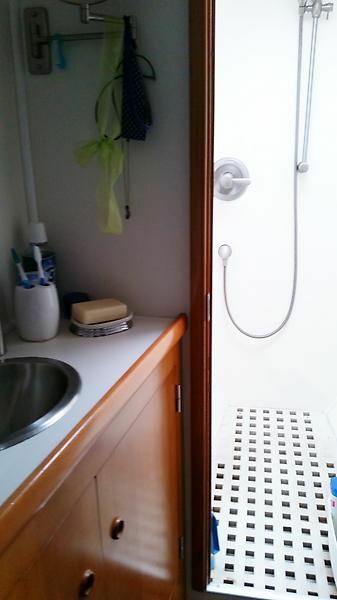 This area includes an updated queen size berth, washer/dryer unit, and large forward dedicated shower/head area. 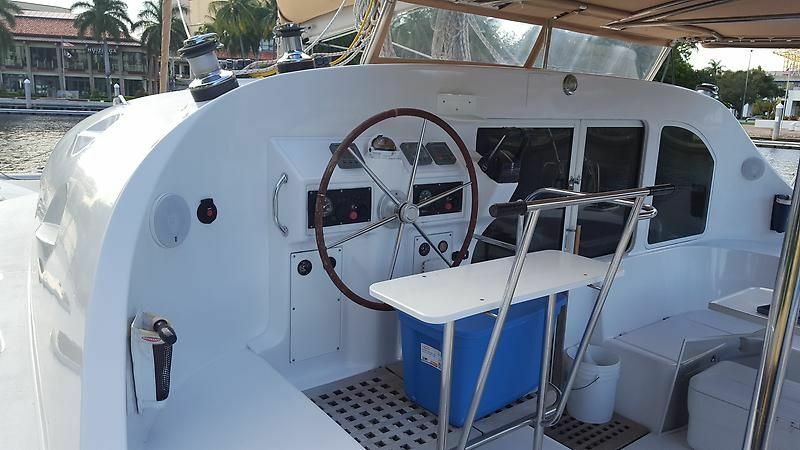 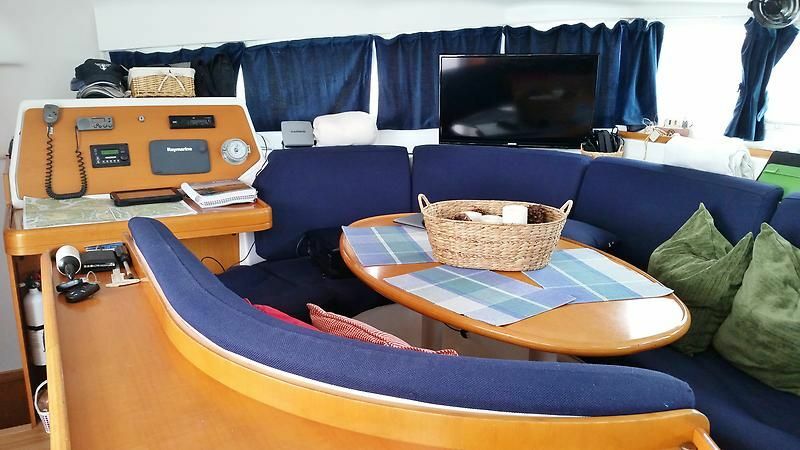 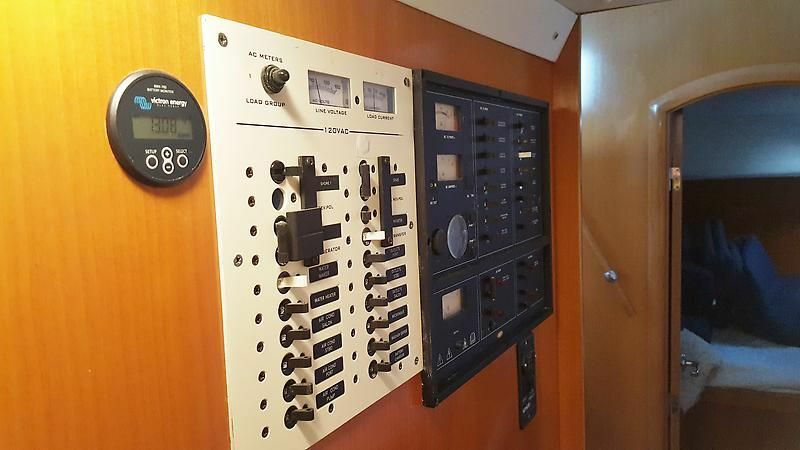 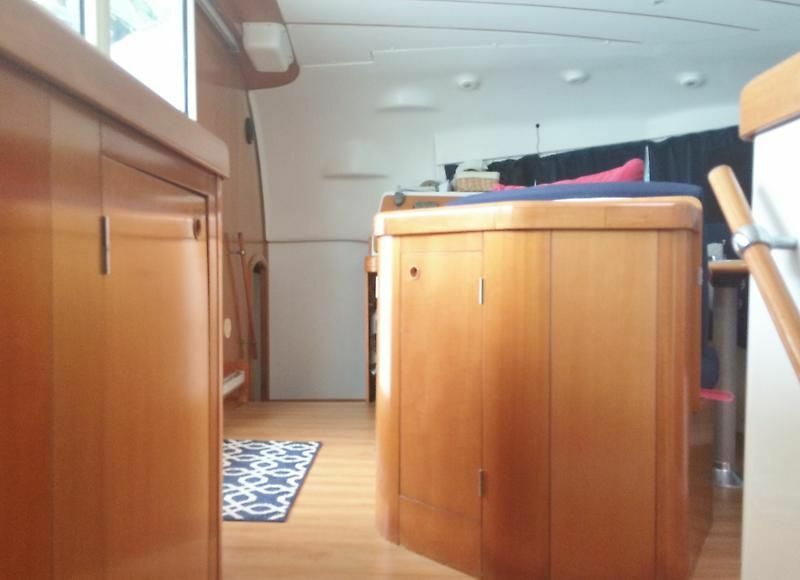 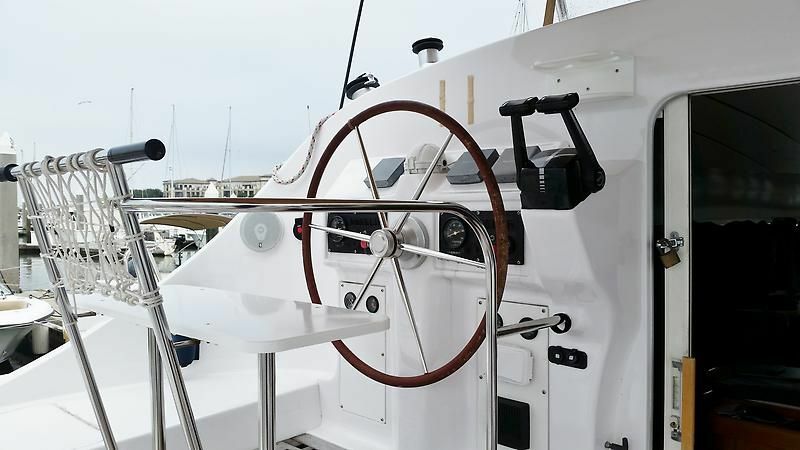 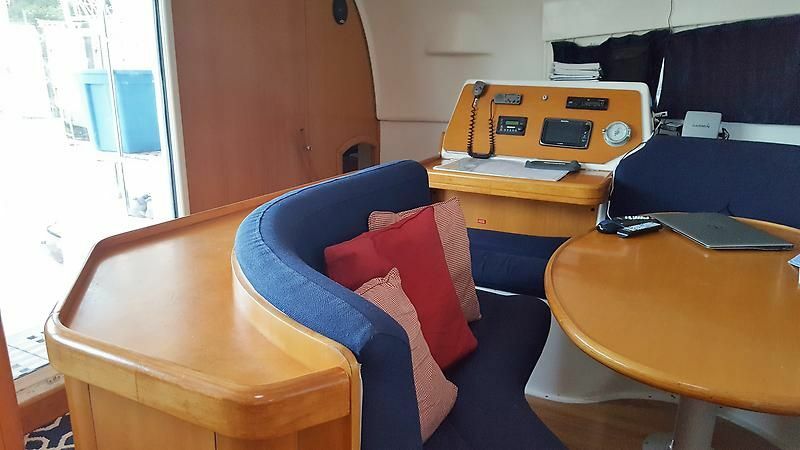 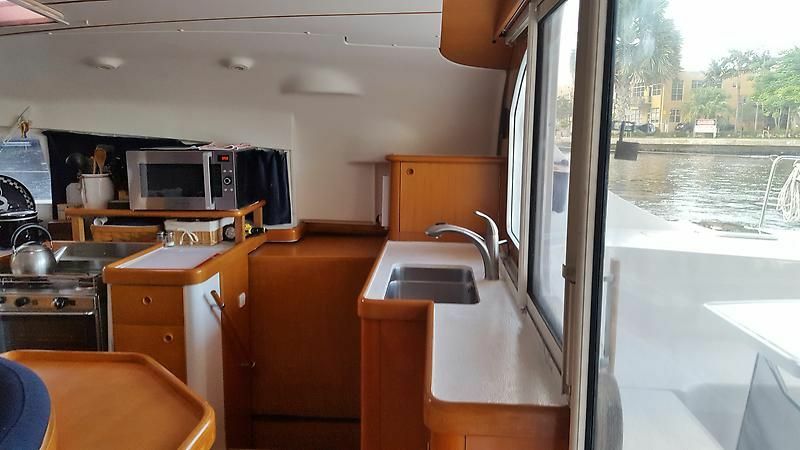 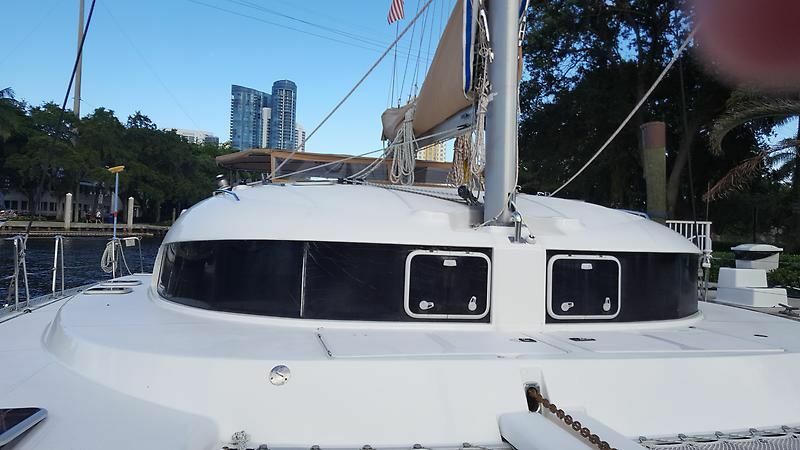 BLISS is well equipped with generator, A/C throughout, watermaker, SAT phone, electric winch, and many other features, that make her perfect for liveaboard and extended cruising. 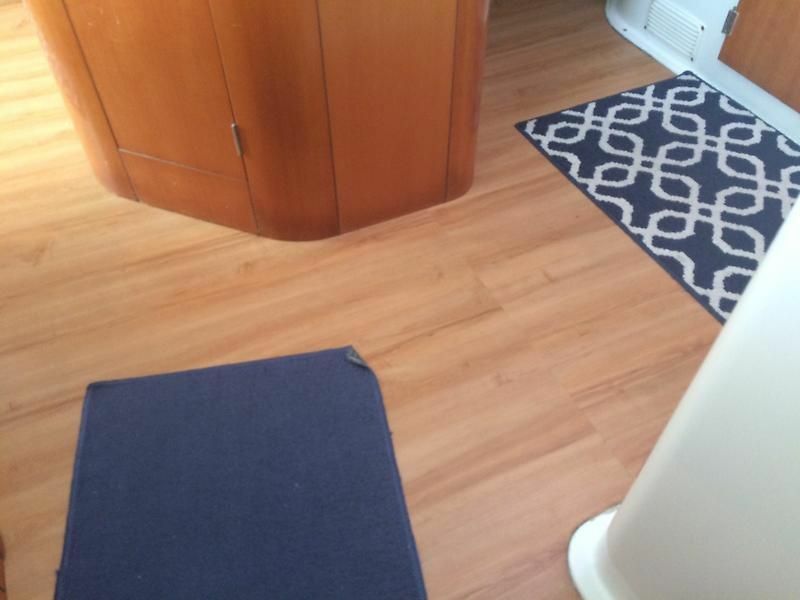 There is new flooring in the main salon as well as in each hull living space. 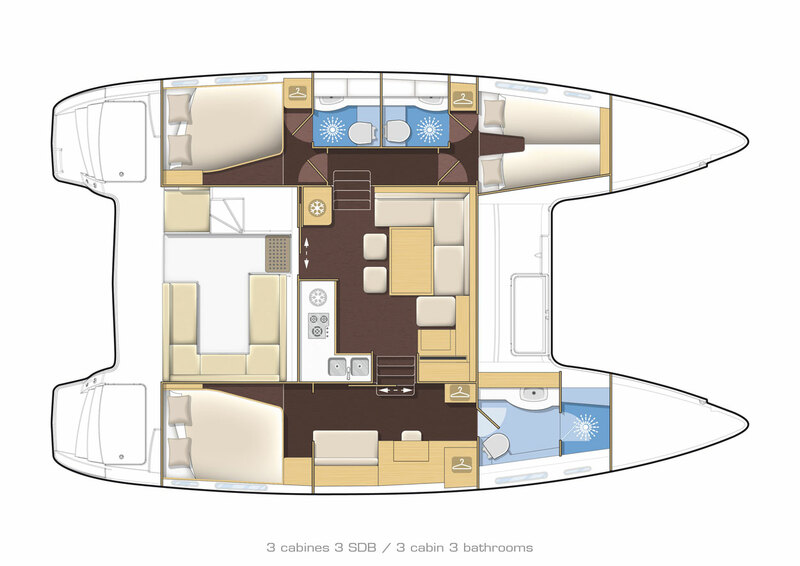 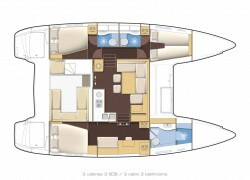 The port hull features the 2 cabin/2-head layout and is perfect for the larger family or overnight guests. 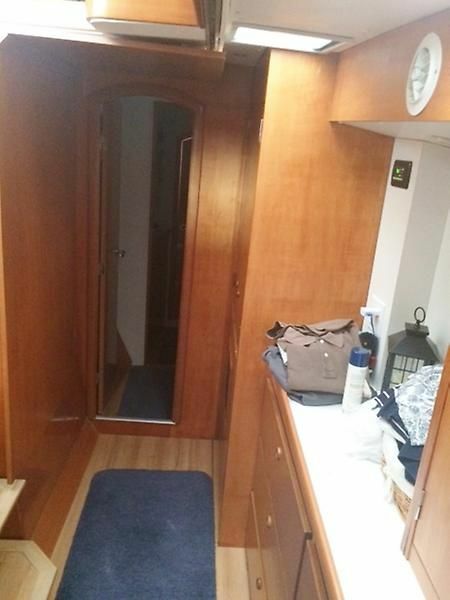 A/C is present as well in the port hull cabins. 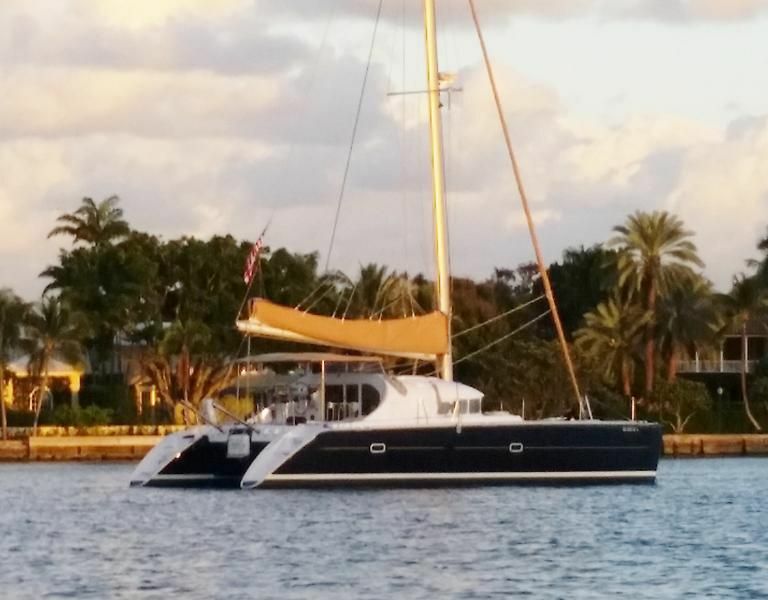 BLISS is currently located in Ft. Lauderdale and the current owners are ready for their next adventure. 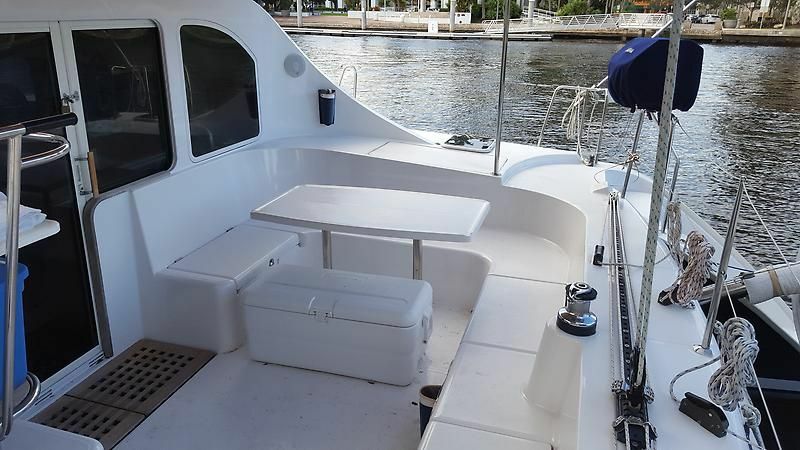 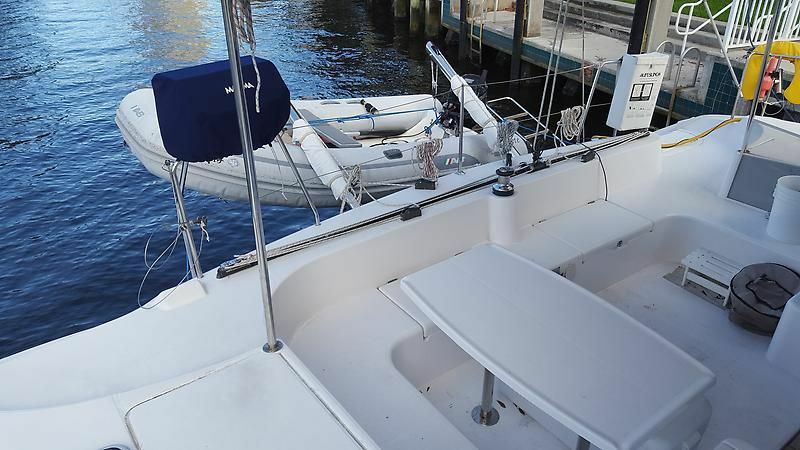 If you're looking for an above average sailing catamaran, with just the right amount of room and upgrades, make an appointment to view BLISS today.